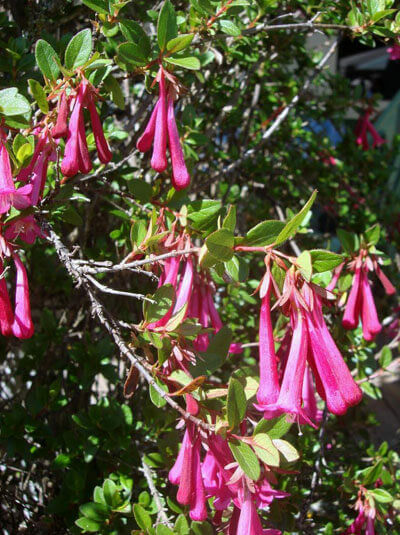 This evergreen shrub flowers from Spring to Autumn. Beautiful clumps of long tubular flowers. Height 1m. Width 1- 1.5m.